The hair and beauty industry, by its very nature, is all about appearance. This means your salon will be judged on its appearance, so make sure your décor is a statement about who you are and what you’re all about. Our industry is based on style and this article aims to help you out with some ideas that will ensure you meet your client’s expectations. 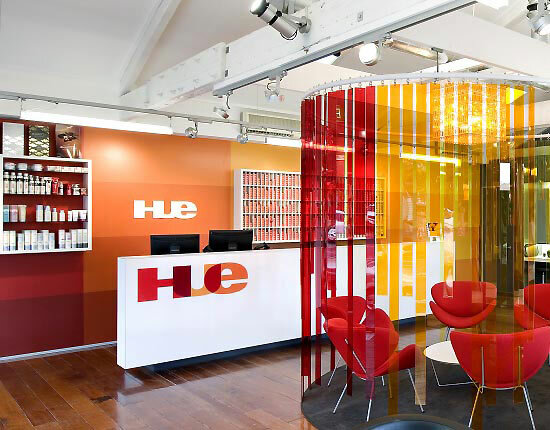 Read our salon decorating ideas do’s and don’t s to revamp your business. Successful salons have a picture of their ideal customer and then offer services and price points that will attract them. The same applies with your salon design. After upmarket clients? Consider marble counters and chandeliers. Will your chief client type be health and well-being clients looking for massage treatments? Create a tranquil environment with relaxing water features that will sooth your clients during their treatment. 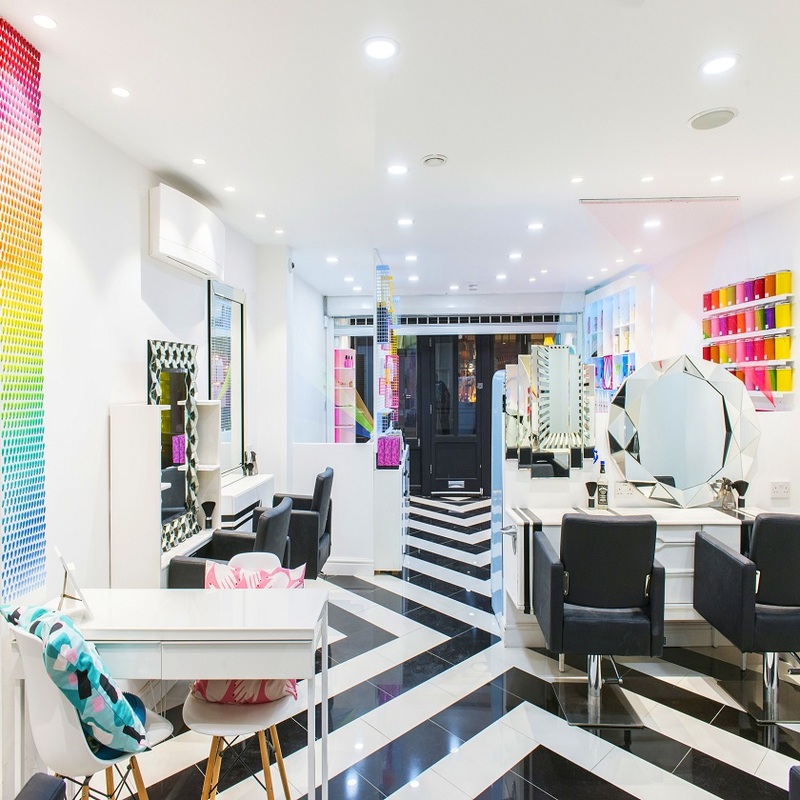 Bright colours give vibrancy and life to a salon. Bold, red chairs contrasted with white walls creates a dramatic, eye-catching effect that will breathe life and atmosphere into your salon. Perfect for a relaxing, organic feel. An Asian theme allows you to capture the zen with relaxing elements such as natural wood, bamboo plants, fountains and Asian dividers. 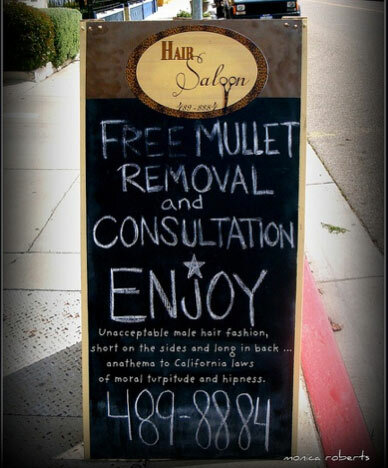 This look works particularly well with barbershops, especially in more historic, parts of town. Think rustic, wrought iron hardware with cherry wood finishes and deep masculine colours. The traditional look works well in hair salons too. White, tastefully decorated and welcoming is always a winner. Marble, beautiful ceramics, the smell of the finest products available and clean lines so sleek you could shave on them. If you want to attract high rolling clients, this look may be the one you’re after. Make a statement with oversized lights and gigantic, larger than life mirrors. 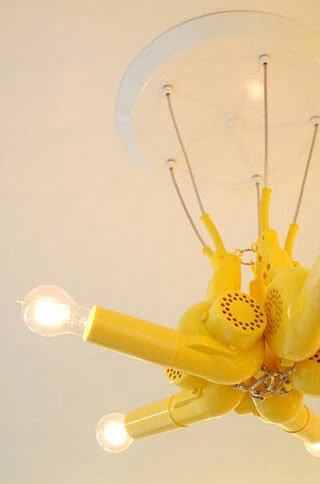 If your salon has high ceiling this look works particularly well. Consider a sash or drapes on the wall to pop a bit of colour on your walls. In an industry based on expression, don’t be ashamed to show off your creative side. 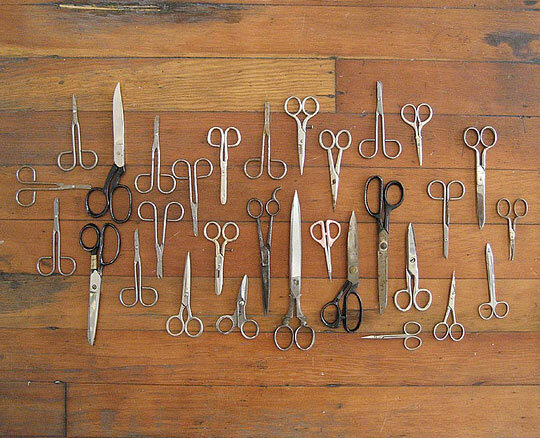 Why not refashion old styling tools? 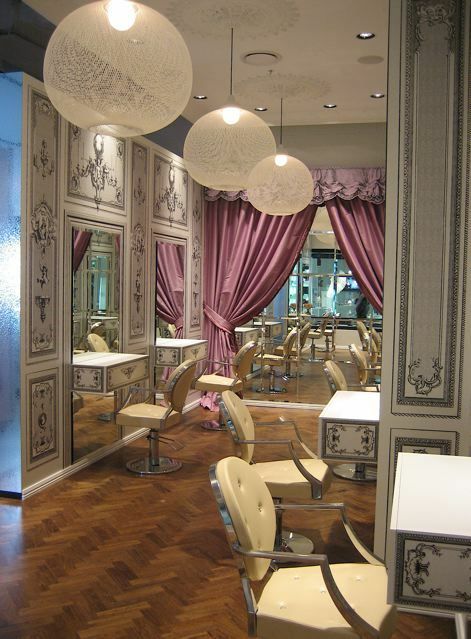 As these pics show, with a bit of TLC, your old equipment can be used to wow your salons and create a talking point. 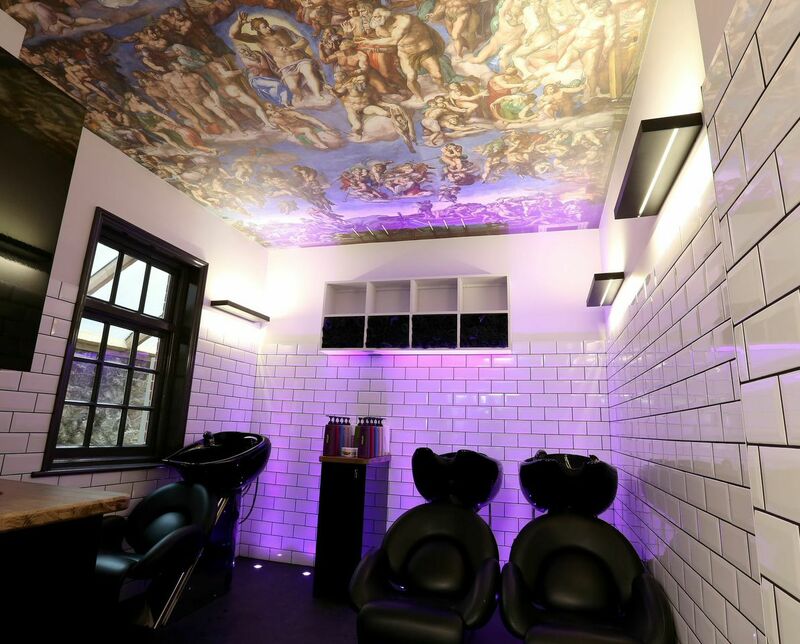 A great example of a salon that is never too scared to be creative is our Salon Design of the Month winner Not Another Salon. 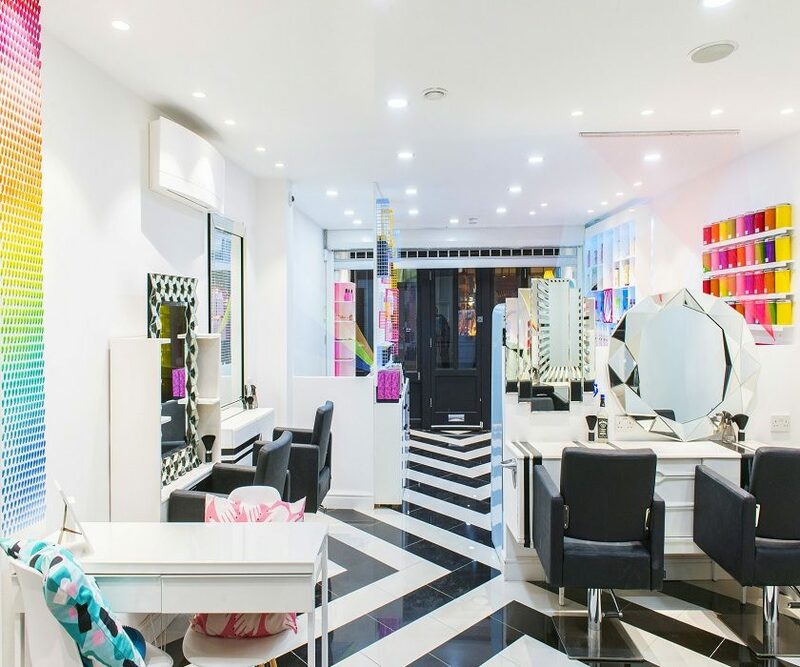 Using flair, individuality and (if we may say so) fabulous furniture from Salons Direct, they have created one of the trendiest and most talked about salons in London. Everywhere your customer sees is a reflection on your business and needs thought and consideration. You can have the best cutting area in the world yet be let down by a dodgy coffee bar. Keep everywhere consistent, in theme and classy. Also, don’t forget your outdoor space. Using good signage and an appealing window display is a way of getting people noticing you, talking about you and most importantly, becoming a customer. 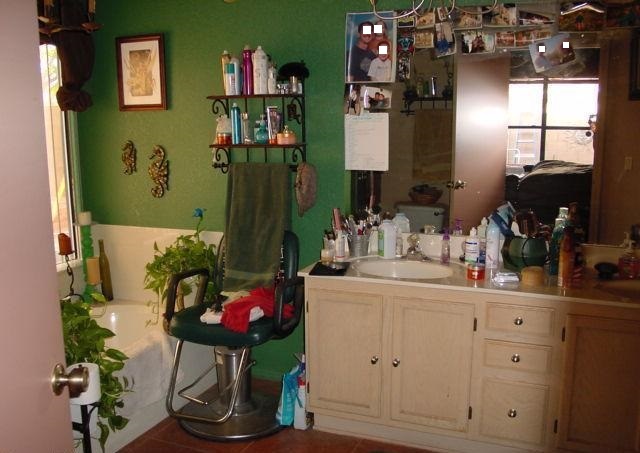 A cluttered salon is unorganised, messy, and unprofessional. Exactly what you don’t want a client to think of you or your business. No unloved plants in the window, no five year old magazine and twee ornaments are strictly forbidden. 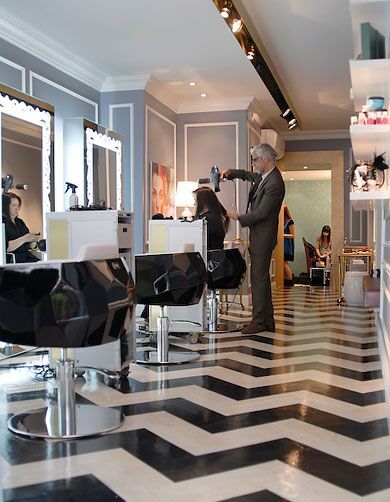 A 1950’s themed salon can undoubtedly look the part, but make sure the look is intentional. 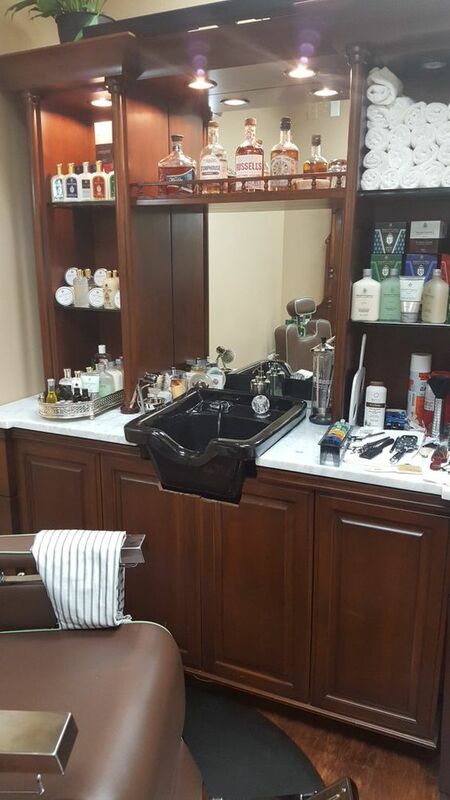 It is generally a good idea to stay away from retro furniture which can date and age your salon. To futureproof your salon, it is always a good idea to stick with modern styles. You may not have the budget for a Rembrant but decals, murals or tasteful posters or prints are a great way to inexpensively add character and mood to your salon. 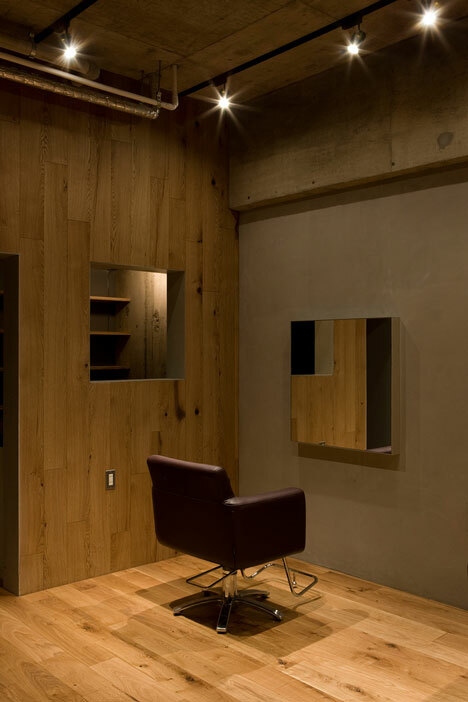 Check out our previous winners of the ‘Salon Design of The Month Awards’ for some AMAZING IDEAS. Not that we like to brag but all of the winners purchased their furniture right here at Salons Direct. OK OK, don’t worry. 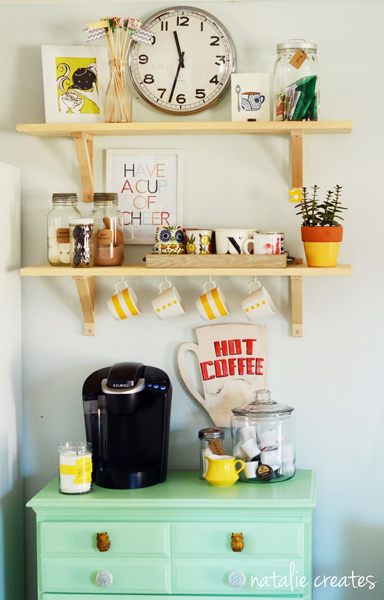 We’ve also got a whole Pinterest board teeming with salon decorating ideas and inspiration. 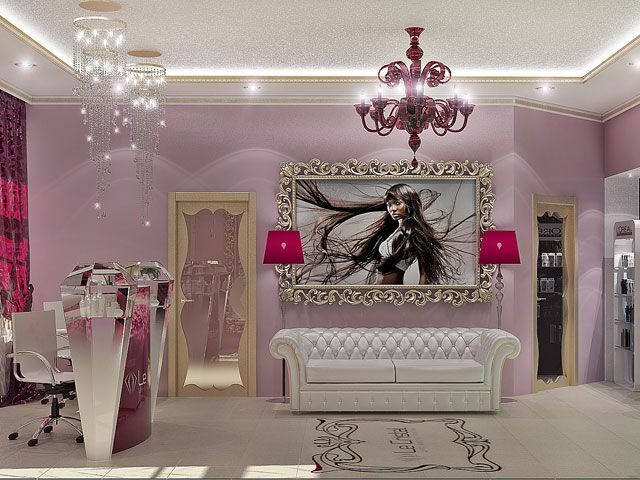 Looking at restyling your salon? Make sure you check out our EXTENSIVE RANGE OF LOTUS SALON FURNITURE HERE!